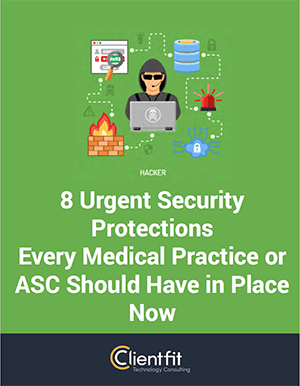 8 Urgent Security Protections Every Medical Practice or ASC should Have in Place Now. Cybercrime is at an all-time high, and hackers are setting their sights on Healthcare Organizations who are “low hanging fruit.” Don’t be their next victim! This report will get you started in protecting everything you’ve worked so hard to build.